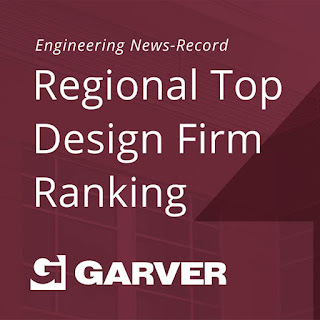 Garver has reached its highest position ever in the latest Engineering News-Record regional rankings of top design firms. Garver came in at No. 27 on ENR's Texas & Louisiana rankings, which includes revenue generated in 2016 for work in Arkansas, Louisiana, Mississippi, Oklahoma, and Texas. Garver was 63rd in the ranking last year, and has moved up 51 spots in the last three years. Of Garver's 22 offices nationwide, 14 are located in this footprint. 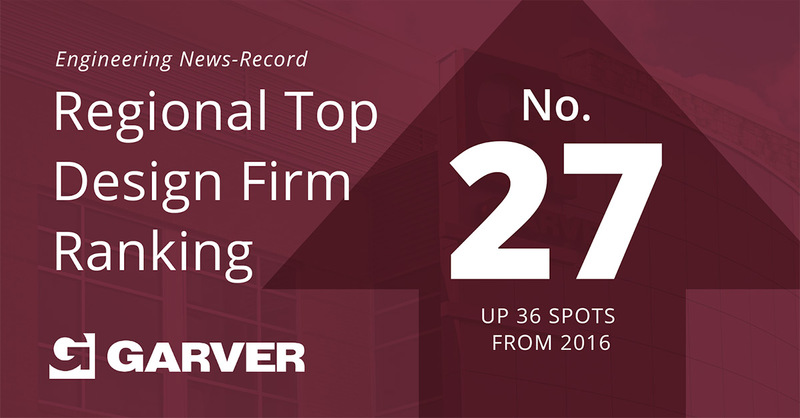 "This ranking reflects the work that we've done in the region of our core client base, and where we have traditionally done most of our work," said President and CEO Dan Williams. "Garver has always been dedicated to servicing the infrastructure needs in our home region, and our rising place on this list shows that we have no intentions on changing that." In addition, Garver is ranked eighth in the categories of environmental and geotechnical engineering, and sewerage/solid waste, and ninth in structural engineering.